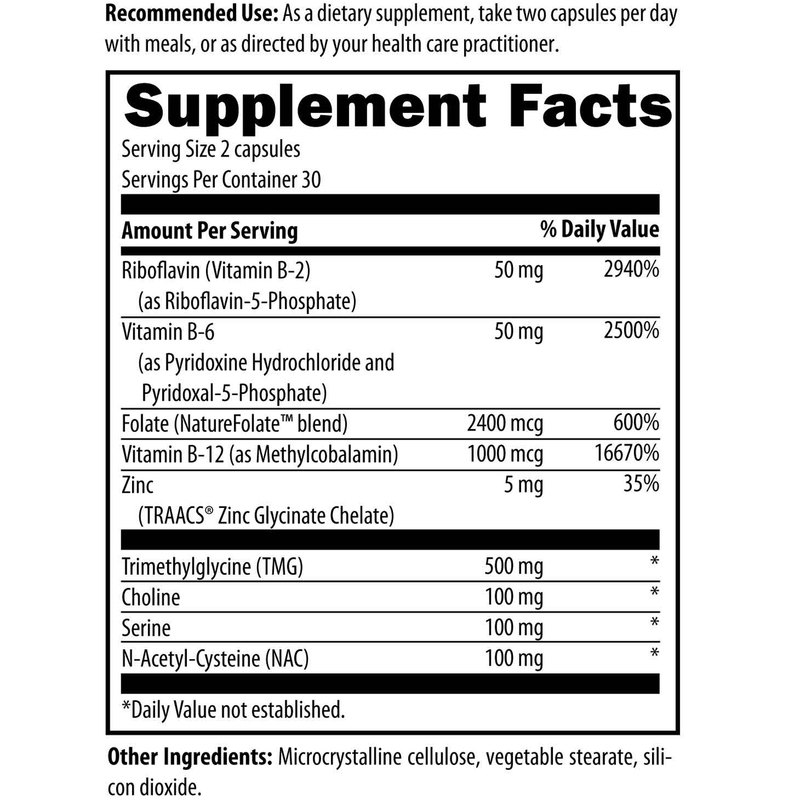 Homocysteine Supreme contains synergistic nutrients, including our proprietary NatureFolate™ blend of active isomer naturally-occurring folates, known to facilitate the efficient metabolism of homocysteine. 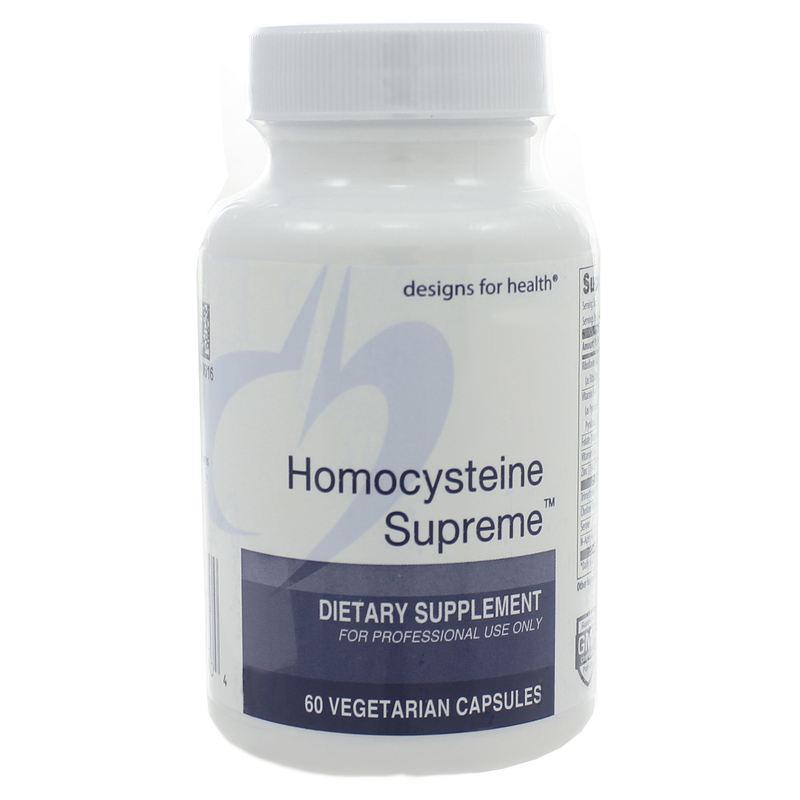 Homocysteine Supreme™ maintains a healthy homocysteine pathway, allowing for the normal production of its necessary and important end products. These include the sulfur-containing amino acids taurine and cysteine, and the neurotransmitters norepinephrine and dopamine. * An optimally functioning homocysteine pathway provides methyl and sulfur groups for biochemical reactions such as detoxification, healthy immune function, ideal joint and cartilage structure, and brain and cardiovascular health.